Singapore work pass specialist Rikvin has today published its Guide on Singapore Immigration Options. The succinct Guide provides an overview of the various Singapore visa avenues for professionals, entrepreneurs and High Net Worth individuals (HNWIs) who wish to move to Singapore. 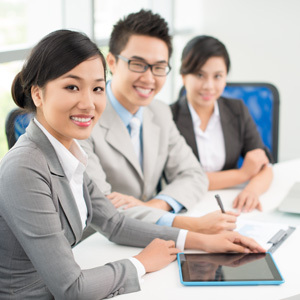 For professionals, the options include the Singapore Employment Pass (EP), Personalized Employment Pass (PEP) and S Pass. For entrepreneurs and investors, they are the Singapore EntrePass and Global Investor Program (GIP). Analysis by Rikvin shows that as Singapore PMEs (Professionals, Managers and Executives) call on the government to level the playing field and remove barriers to fair employment practices in Singapore, the country is trying to strike a balance between doing that and maintaining its appeal to companies. “Although the government is making efforts to right some wrongs, especially in terms of hiring discrimination that marginalizes qualified Singaporeans, it is still trying to keep Singapore attractive to investors, entrepreneurs and professionals who want to contribute to the city state and inject some vibrancy to its economy. This guide serves to highlight that opportunities are still available to those who complement the needs of the country,” affirmed Ms Lim.